Nigerian Senate on Wednesday adjourned its plenary for two weeks. 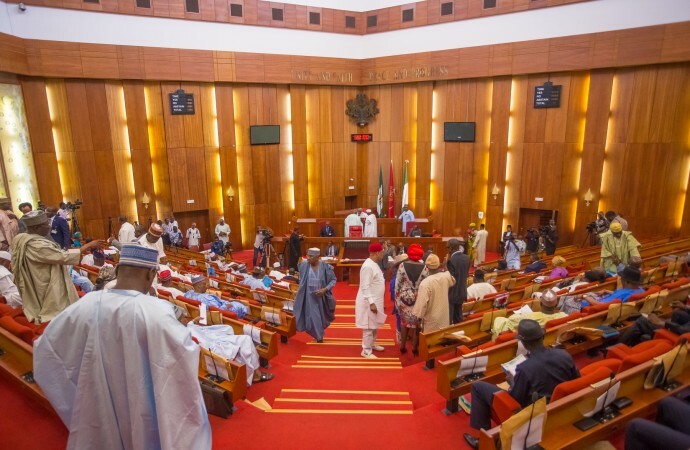 The lawmakers will resume for plenary on November 6, Senate President, Bukola Saraki announced on Wednesday. Saraki explained that the break would allow committees of the Senate to carry out oversight functions. “These are committees that are going to carry out the oversight. It is only plenary session that is being suspended. We expect our committees to carry out oversight in this period. “Particularly if you recollect, when we debated the Eurobond, there were a lot of questions on implementation and utilisation of those loans. But because of the expediency and the demand from the executive that we approve those loans, we did it but with the understanding that our committees will quickly go and do oversight in MDAs to see that those funds have been properly utilized. “And also budget implementation of 2018, and also the poverty social intervention programme that we raised. “So I will like all our committees that during this period, to carry out the necessary oversight so that we can report when we do resume back to plenary. The committees will be meeting till 6th of November,” he said.